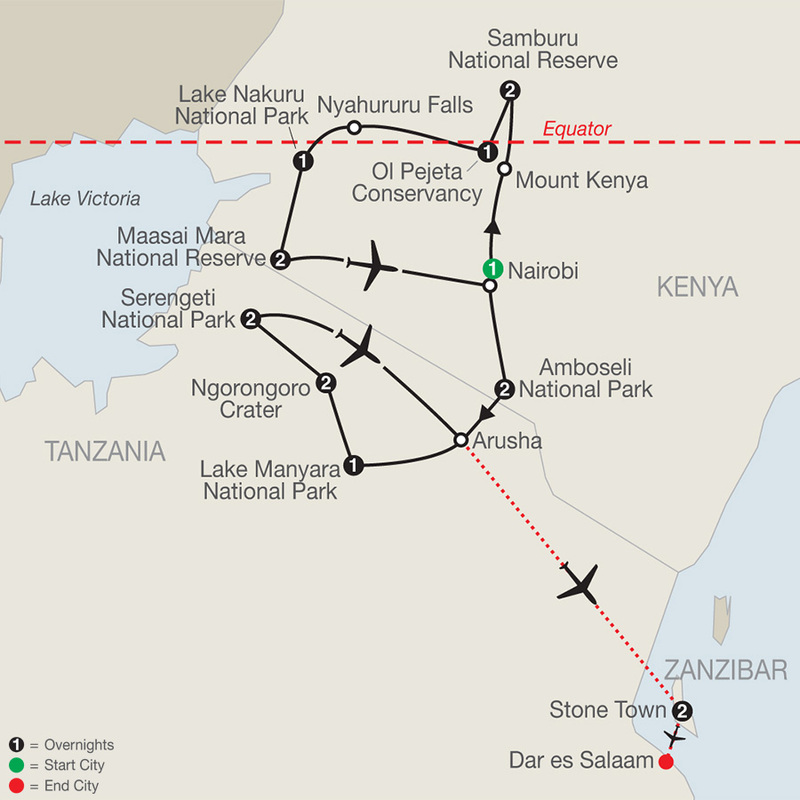 East Africa-a land of breathtaking scenery, majestic wildlife, and a distinct culture! Witness some of nature’s great treasures as you embark on this timeless Africa safari in Kenya and Tanzania. Along the way, your expert Driver/Guide will share insights about the wildlife, local cultures, and diverse eco-systems you encounter. And with a small group of no more than 6 guests per vehicle and 20 guests total you’ll experience a high level of service throughout your adventure! Start your safari in Samburu National Reserve, where you’ll have the chance to see rare animals not spotted in other parts of Kenya. 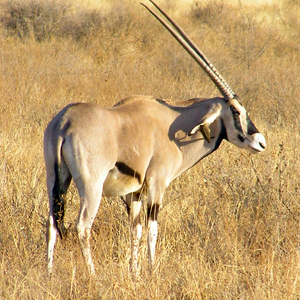 Commonly referred to as the Samburu "Special 5," they include the Grevy’s zebra, reticulated giraffe, Somali ostrich, Beisa oryx, and the gerenuk-a long-necked antelope that feeds while standing on its hind feet. Lion, cheetah, elephant, and Nile crocodile are also commonly spotted here. Explore the Serengeti ecosystem, one of Africa’s premier safari destinations, which includes the famed Maasai Mara National Reserve in Kenya and Serengeti National Park in Tanzania. This region is home to the annual wildebeest migration and has one of the world’s highest concentrations of large mammals. Keep an eye out for lion, Cape buffalo, cheetah, leopard, hyena, elephant, giraffe, rhino, and more on your many game drives. Beyond game viewing Globus has arranged unforgettable bush meals for you in both the Serengeti and Maasai Mara! Magnificent wildlife, important animal sanctuaries, and thrilling adventures-this exciting safari in Kenya and Tanzania has it all. It’s a once-in-a-lifetime opportunity not to be missed!